Add some Americana to your summer table! 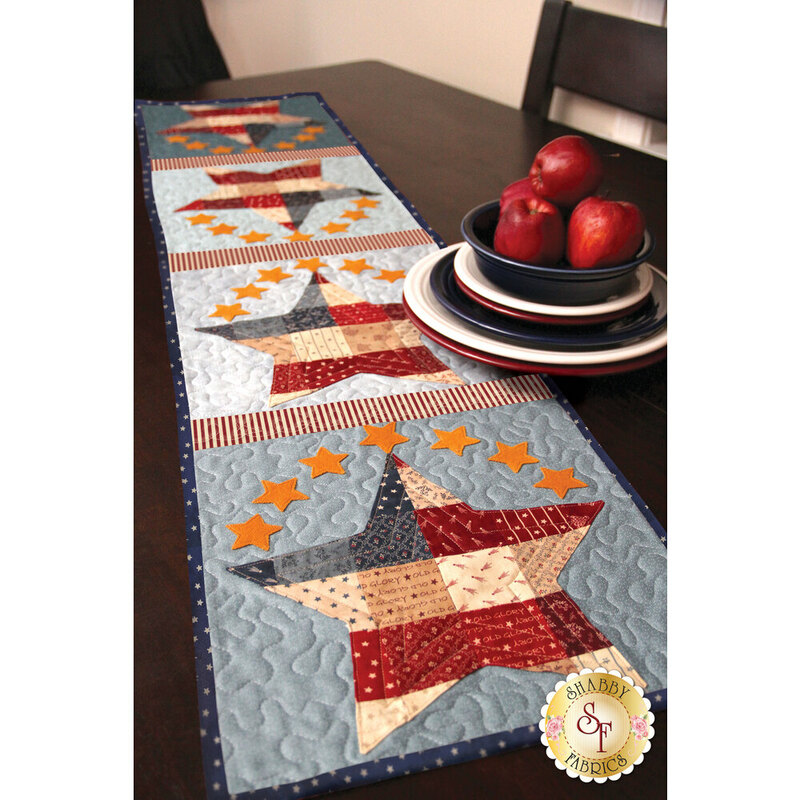 This quick and easy table runner project features small wool felt stars around larger patchwork stars. This is a great way to use mini charm squares or jelly roll strips! 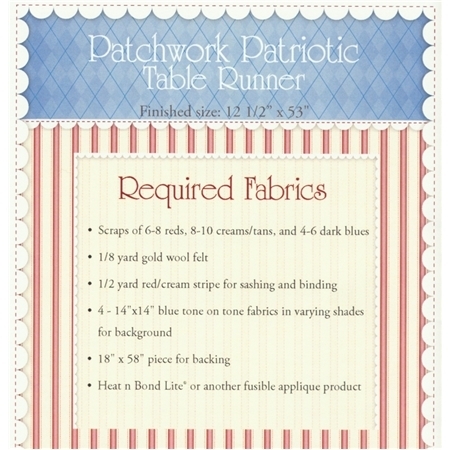 Pattern includes all instructions for the 12 1/2" x 53" project. Designed by Jennifer Bosworth of Shabby Fabrics. Add the Olfa 45mm Rotary Cutter below for precision cutting!